Nearly 281,000 vehicles are involved. Not exactly a minor thing. From now on, anytime there’s a Volkswagen recall, it’ll receive additional scrutiny. Imagine why. 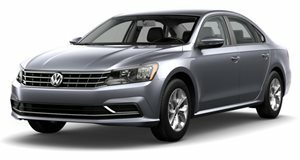 The National Highway Transportation Safety Administration has released details regarding VW’s latest recall, affecting 281,000 examples of the CC, Passat and Passat Wagon. Essentially, it’s a decade’s worth of vehicles, ranging in model years from 2006 till 2016. What’s the problem, exactly? Faulty fuel pumps. According to the NHTSA, "Under specific operating conditions, an interruption in the electrical power supply to the fuel pump control module can result in fuel pump failure and lead to a loss of vehicle motive power while driving (vehicle stall). This condition can also cause the fuel pump to run continuously, resulting in a drained vehicle battery and/or a no-start condition." Although the pump itself was manufactured by a German supplier, the problem was first discovered in China. And because VW builds very similar vehicles for the US market, this recall was expanded stateside. 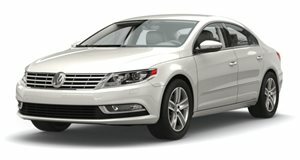 The specific breakdown of affected vehicles is as follows: the 2009-2016 VW CC, 2006-2016 Passat, and 2006-2010 Passat Wagon. For the time being, however, repair parts aren’t available, and it probably won’t be until October when they are. VW will send recall notices to owners in mid-October, and they’ll be notified again once new fuel pump control modules are available.